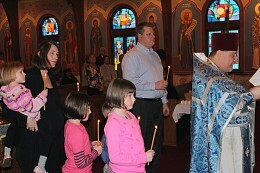 Photos from the Feast of Theophany and the Blessing of the Waters. 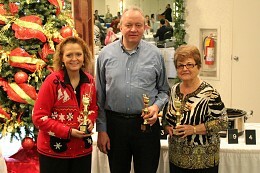 Photos from the R Club National Bowling Tournament Banquet held at St Michael's Woodside Party Center. 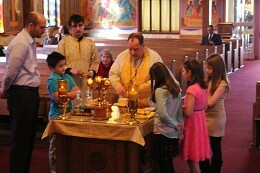 With great joy, Fr John receives the Kirsh family as Catechumens on the Feast of the Meeting of the Lord in the Temple. 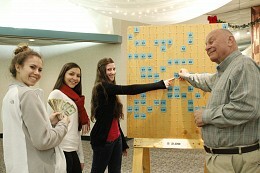 Pictures from this year's Jr. R Club Reverse Raffle. 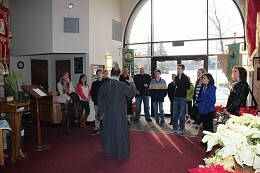 This afternoon, Fr John hosted a tour of our beautiful temple. Pastor Brad and Kristen Jagger and youth from the Church in Silver Lake. 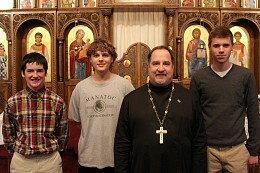 The tour was part of the youth group's confirmation class. 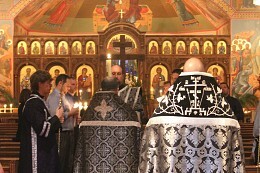 After a tour with questions and answers, the group stayed for the Vespers service. 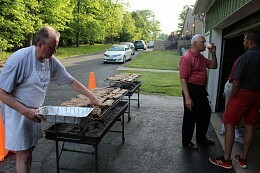 Photos for the Annual Parish Meeting. Fr. 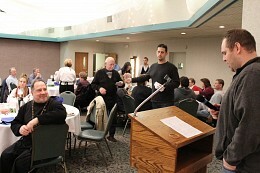 John teaches a Sunday School class about the service of Proskomedia. 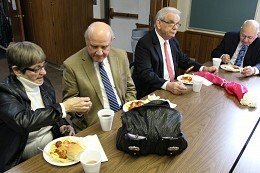 The Cleveland “R” club sponsored its second annual Gifts of Love Spaghetti Luncheon on Sunday, February 23 following liturgy. 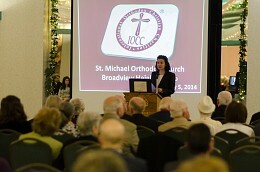 For a free will offering parishioners enjoyed a delicious plate of spaghetti and meatballs, with the proceeds from this meal going to provide gift packs for Orthodox Christians serving in the Armed Forces. Each of these packs will include a prayer book, a cross, an icon and some booklets. 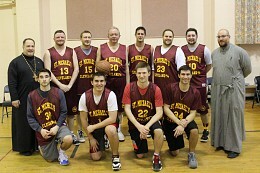 Photos from the FOCA Disctrict Basketball Tournament held at St. Michaels Gym. 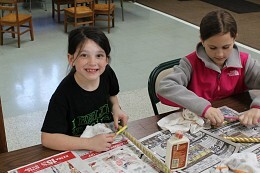 Today, our Sunday School students stayed after the Divine Liturgy and coffee hour to make wraps and macaroni salad to be taken down to St Herman's House of Hospitality for dinner. 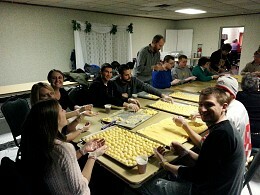 After over 100 wraps were made, a small team headed down to serve dinner at St Herman's. 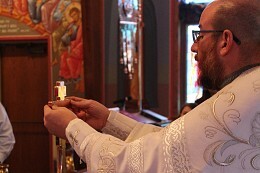 After Liturgy on Lazarus Saturday many of the parish youth gathered at church for an afternoon of cleaning in preparation for Pascha. Today after weeks of preparation 4 of our parish youth made their first confession. 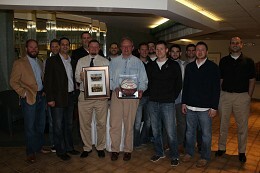 Congratulations to them and their families on this special occasion! 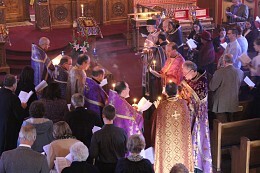 Photos from the reading of the 12 Passion Gospels. 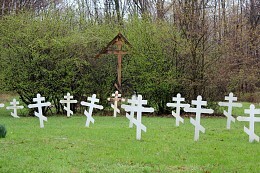 Afterwards parishioners helped set up the tomb in preparation for Holy Friday. 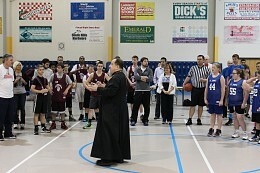 Basketball Tournament Held at Independence Field House. 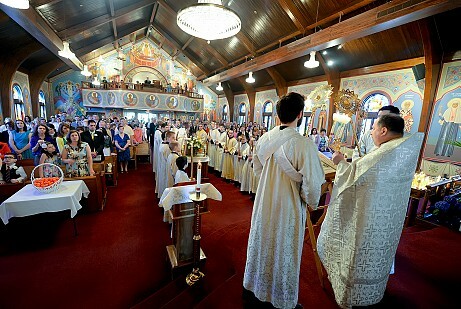 Banquet and Dance hosted at St Michael's Woodside Party Center. 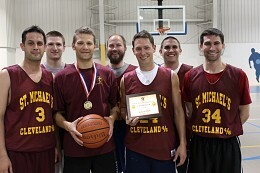 Photos from the Championship Games. 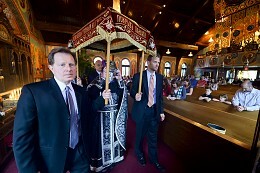 International Orthodox Christian Charities held a fundraiser here at Woodside Party Center on Monday, May 5th. The IOCC works tirelessly assisting those in all types of need all over the globe. 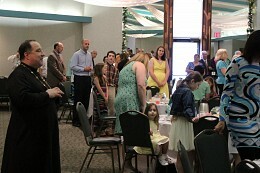 Photos from the Annual Mother's Day Banquet held at our Woodside Party Center. 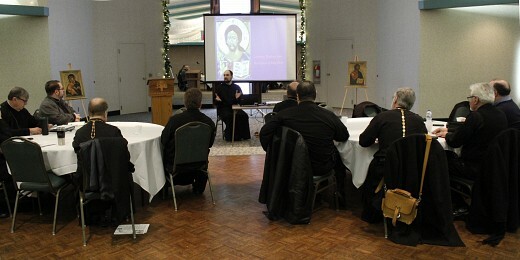 Fr John held a Subdeacons Class today for any altar server 15 years and up who was interested to attent. 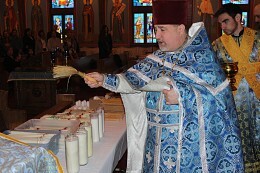 The class focused on the history and function of the Subdeacon and also covered basic serving guidelines. 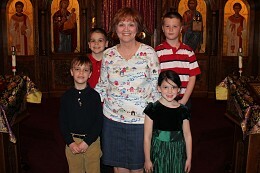 This past Sunday was the last day of Sunday School classes for the year. 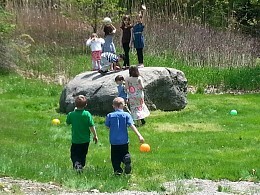 After the Divine Liturgy, we held an End-of-Year Sunday School Picnic at the shanty. 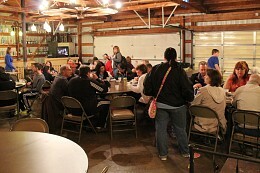 Almost 40 students and their families came down to enjoy a hot dog lunch and fellowship. 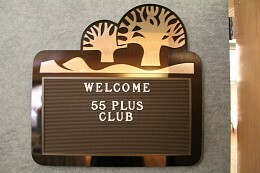 The 55+ Club held their Annual Luncheon at Woodside Party Center. 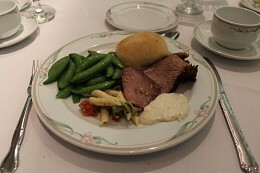 Bingo Workers Appreciation Dinner, where volunteers enjoyed a delicious BBQ Rib dinner.